You are here: Home / Eat It / Fitness Tips – 3 Ways to Fight Fat Faster! Most of us have one desire: burn the most fast the fastest way possible. Lucky for you I have some fitness tips that will help you achieve just that. You block off two hours of gym time and burn an insane amount of calories doing your favorite class, weights or cardio. You’re sweating, your heart rate is over the roof, you crushed your workout. That’s wonderful. What if I told you you could get the same result, if not better in half the time? High intensity interval training (HIIT) is a highly effective modality. For once it kicks your body’s repair mechanism into overdrive, burning more 24 hours after than a regular endurance workout. HIIT forces your body into the anaerobic zone, requiring more oxygen, and in turn teaching your body to use and distribute it more efficiently, increasing both your endurance and aerobic capacity, making your heart stronger. It taps into your fat reserves for energy unlike endurance workouts, which tend to use up muscle, making you lean out. I know I wouldn’t want to lose my hard-earned guns! 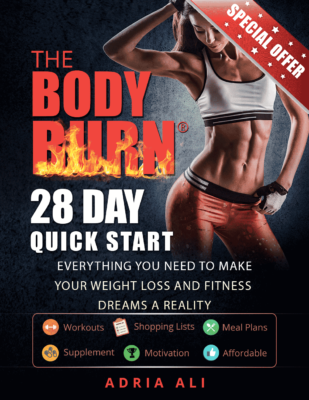 And if that’s still not enough to convince you to switch, how about HIIT increasing metabolism and stimulating the production of human growth hormone (HGH), hormone responsible for increased calorie burn and looking younger. Yes, water is bland and boring, you’d rather have something with flavor, and I actually want you to! Infusion is an easy way to mix things up and make your drink more exciting. I’m specifically referring to cayenne pepper, cucumber and citrus fruit. Cayenne pepper might not be your first choice, since it is quite spicy, but according to various research, the capsaicin found in cayenne pepper can boost your metabolism shortly after ingesting it, and make you feel fuller. You can throw in some blueberries (filled with antioxidants) and strawberries (great anti-inflammatory) to lighten the taste up a little bit. Cucumbers being a natural diuretic will give your pipes a good cleaning. Filled with potassium and vitamins A and C it will flush out toxins and get your metabolism moving. Plus they give your water a nice and refreshing taste. Citrus fruits, especially lemons and oranges are filled with Vitamin C, that will help burn fat on a cellular level, transporting fatty acids within the cell, offering them as energy source. So loading up on Vitamin C naturally increases fat burning. No I haven’t lost it, nor should my certification be revoked. I am talking good fats filled with omega 3s such as the ones found in salmon, avocados or nuts. Fats get a bad rep, even though they play an important part. They help you recover faster, build muscle and they are actually good for your heart. Of course as with everything, moderation is key. Don’t try to tell me you killed a jar of almond butter because you’re trying to get rid of your belly. It will not fly. So there you have it, 3 easy ways to burn fat and detox your body. Put these fitness tips to work and watch the excess inches melt away.